I don't drink much, but I've always enjoyed a little Bailey's when it was offered, and I actually found a bottle in the back of a kitchen cupboard (left behind by a guest at Christmas) with a tiny bit left in it which I could use judiciously to judge the taste of my own concoction. 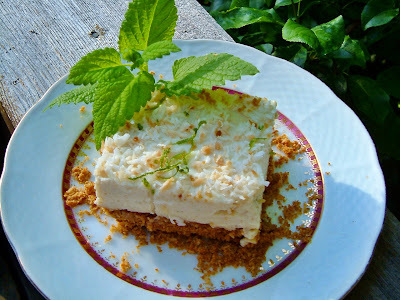 I wanted my recipe to be simple to make, with easily-available ingredients; to NOT involve a can of full-fat coconut milk (too much fat, and saturated fat, for my taste, plus I didn't want a coconut flavor); to be as similar as possible in texture and flavor to Bailey's; and to not separate on standing. I decided to use So Delicious Original Coconut Creamer (which is deliciously creamy without tasting coconut-y, but only 10 calories a tablespoon) as the base for my mixture. NOTE: I don't know the non-dairy creams that are available worldwide, but whatever product you use instead of the So Delicious creamer/cream alternative should have only about 10 calories per tablespoon in order to match the nutritional stats of this recipe. You could use your favorite soy creamer or, if you don't mind a bit more fat, use a homemade creamer (but don't make it too thick-- think coffee creamer consistency), but add the nuts that are in the recipe as well. My first batch tasted very good, but I added far too much vegetable gum in an attempt to make it a little creamier, which resulted in a kind of pudding-like gloppy mixture (I'll use it in desserts). My second batch is a winner, I think. I blended raw cashews (softened in the hot espresso) with the rest of the ingredients for just the right amount of creaminess, and this time I was very sparing with the guar gum (you can use xanthan instead, if you like), which accomplished what I was hoping it would-- keeping the mixture from separating without thickening it too much. I hope you will enjoy making and imbibing this treat for your St. Patrick's Day. Soak the chopped nuts in the hot espresso while you assemble the other ingredients. Place the creamer, whiskey, sugar, chocolate sauce, vanilla and almond extracts, guar gum and salt in a blender. Add the nuts and coffee. Cover and blend at high speed until the liquid is absolutely smooth and not grainy at all when rubbed between your fingers. Strain the mixture through a fine sieve, bottle and refrigerate. This also makes a good icing or filling when cold. In blender mix the first 4 ingredients until smooth. Stir the mixture constantly over medium heat in a small saucepan until thickened and bubbly. Cook and stir for 2 minutes more. (Or cook in the microwave at 100% power in a microwave-safe bowl or pitcher for 1 minute; whisk and microwave 1 minute more; whisk.) Stir in the vanilla. Serve warm or cold. Refrigerate in a covered jar for storage. Use cold or reheat in the microwave at low power, or in a double boiler over simmering water on the stovetop. A friend of mine just asked me if this recipe was in one of my books, or if I'd ever posted it on my blog. I answered no to both possibilities, and realized that, since this is one of our favorite family recipes, I should post it! It is luscious but light, and very easy to make, and it would be a perfect ending to a Lunar New Year feast. Mix the Crust ingredients well and press evenly into a parchment-lined 9 x 9-inch baking pan. 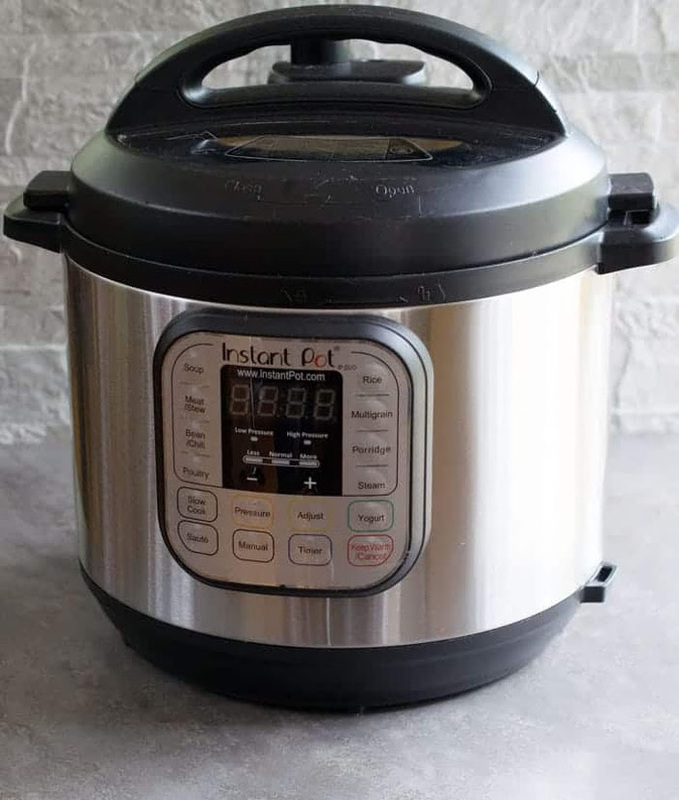 Bake at 350ºF for 10-15 minutes. Cool thoroughly before filling. Mix the drained nuts in a good blender with the tofu, lime and/or lemon juice, lime zest, and salt. Process for several minutes (be patient!) at high speed, until it is very smooth. Stop the blender and scrape the mixture down if necessary. Soak the agar in the cold water for a few minutes, in a small pot or a microwave-proof bowl with plenty of room for boil-up. Cook it, stirring, over medium heat until dissolved, OR microwave it in two 30-second intervals (stir after first one). Stir in sugar to dissolve. Scrape this carefully into the mixture in the blender (try to get it all with a rubber spatula). Process the mixture until well-blended. Pour this immediately into the baked, cooled crust. 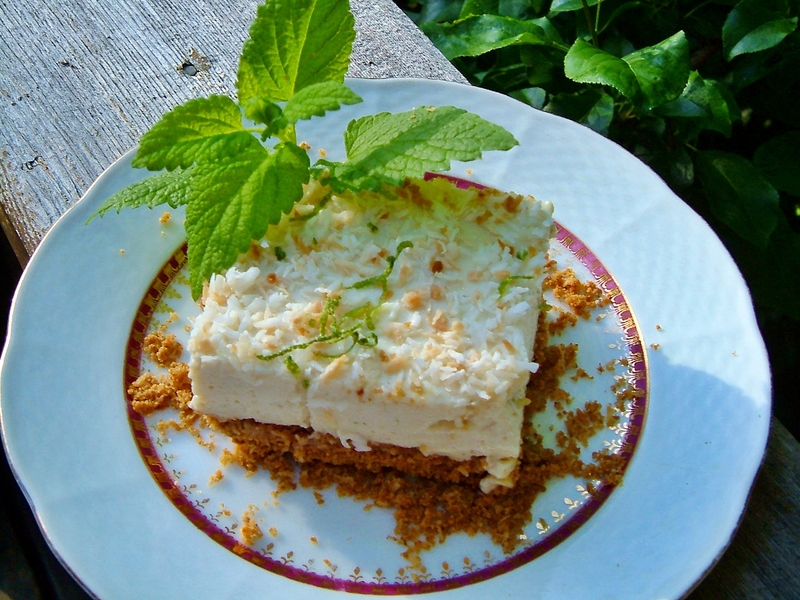 Sprinkle with the lime zest and coconut Garnish. Refrigerate for at least 3 hours before cutting into 9 squares. Nutrition (per serving): 295 calories, 123 calories from fat, 13.8g total fat, 0mg cholesterol, 222.9mg sodium, 143.2mg potassium, 39g carbohydrates, less than 1g fiber, 27.8g sugar, 5.4g protein, 8.3 points. Some bulk graham cracker crumbs are vegan-- check the label on the bin (if it's visible) or ask your grocer to let you see the original bag. Otherwise, you will have to make your own crumbs (in a dry food processor or blender) from vegan graham crackers. 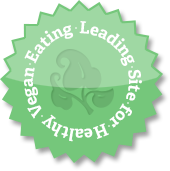 Another option: there are numerous vegan recipes for graham cracker on the 'Net (including GF recipes), if you are into making your own. February is cold and dreary in most parts of the US, and many of us just want to stay inside with bowls of steaming hot soup or warm and comforting soup. To help you stay warm and cozy, we're having a comfort food cookbook giveway! 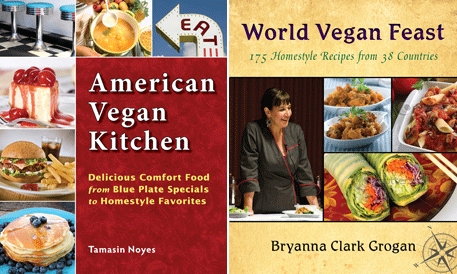 Chose from either American Vegan Kitchen by Tamasin Noyes or World Vegan Feast by Bryanna Clark Grogan. American Vegan Kitchen is full of recipes to make vegan versions of favorite comfort food dishes found in diners, delis, and cafes across the US. Spaghetti Pie with Arrabbiata Sauce, Southern Fried Seitan and Beer-Simmered Seitan Stroganoff with Cracked Pepper are just a few of the many warm and hearty dishes in this book. 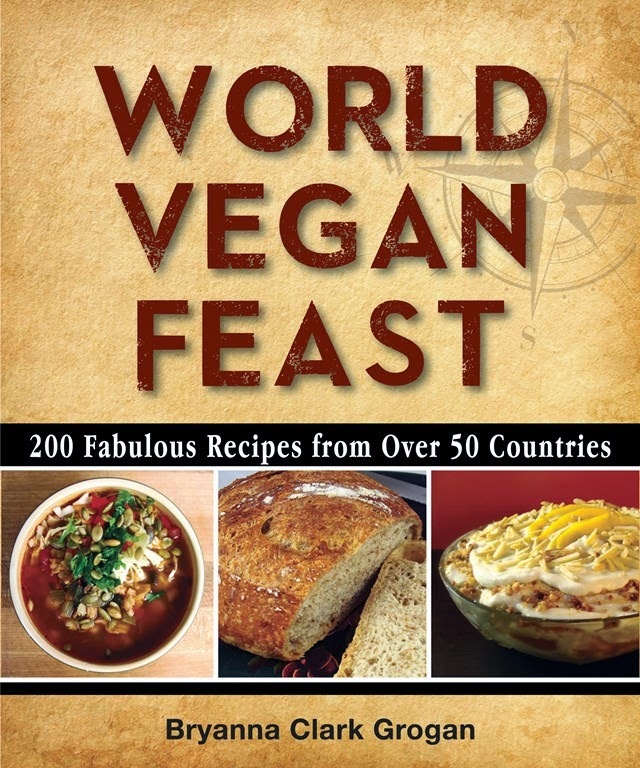 World Vegan Feast includes authentic dishes from around the world that you won’t find in other vegan cookbooks. Ugandan-Style Peanut Butter Stew, Seitan Wellington and Curried Vegan Meatloaf are some of the comforting recipes you'll find within the pages of this book. Winners will be chosen at random for each book. Contest ends on Tuesday, February 12th, 2013 at 11:59pm, EST. US residents only please. One winner will be chosen at random for each book. I've always loved the idea of Bubble and Squeak (or Bubble 'n' Squeak), a traditional working-class British dish made with shallow-fried leftover vegetables from a roast dinner. Potato and cabbage (I prefer Savoy cabbage) are the norm, but carrots, peas, Brussels sprouts, broccoli, cooked greens, or any other leftover vegetables can be used (a mix is good). Basically a type of hash, the chopped vegetables are fried in a pan together with mashed potatoes or crushed roast potatoes until the mixture is well-cooked and brown on both sides. (The name comes from the bubbling and squeaking sounds made during the cooking process.) It not only makes a thrifty supper, but leftovers are good for breakfast, too. So, you have the option of adding cold chopped veggie-"meat", if you like (I used slivered seitan "turkey" this time, but some leftover plain-cooked beans would be a good addition, as well), but it's not necessary. I used to make it once in a while in old meat-eating days, but, strangely, haven't made a vegan version until lately. We had a vegan friend over for dinner and I made a vegan from-scratch version, of which we devoured over half in one sitting! I chose to bake my vegan Bubble and Squeak in a very hot oven, ensconced in a parchment-lined 14-inch cast iron skillet, to avoid the frying and all the fat that involves. This worked very well, but I realize that not everyone owns a giant cast iron skillet (and not everyone wishes to heft around a hot heavy pan!). I had to transfer the Bubble and Squeak onto a round pizza pan (using the parchment) in order to flip it to the other side (using more parchment and another pizza pan), and then hoist it into the skillet again, using the parchment. So I am recommending what I will do next time-- just use 2 pizza pans (or baking sheets). 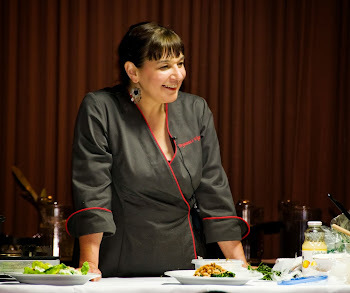 However you choose to do it, the potato "body" of the dish was nicely browned and crispy, full of tender broth-simmered Savoy cabbage and diced carrots, and sauteed onions and mushrooms. You need two 13-inch round pizza pans and some baking parchment for this method. (You could also use two ordinary baking sheets, if necessary) NOTE: If you aren't worried about fat, you can cook this in a large heavy skillet with some olive oil mix with a bit of dark sesame oil, frying the mixture in smaller "cakes" over medium heat until they are golden brown on the bottom, and then flipping them over and browning the other side. 1.) Place the potatoes on to cook until tender, in whatever sort of steamer set-up you use. I like to place them in a microwave-proof casserole, cover (no water necessary) and cook on high for about 10 minutes. 2.) While they cook, put the simmer the cabbage and carrots together with the broth in a covered pot just until tender. Drain off the remaining broth. 3.) That done, heat the oils in a large heavy skillet and saute the onions over medium-high heat until they are softened and starting to brown. Add the mushrooms and saute until they start to wilt. FAT-FREE NOTE: You can omit the sauteing in oil by microwaving the onions in a microwave-safe covered casserole or dish until softened, and then browning them over high heat, along with the mushrooms, in a nonstick skillet until they begin to brown, adding a squirt of water, broth or white wine as needed to keep the mixture from sticking. When all the above are done, dump the potatoes into a large, shallow bowl and coarsely mash them-- remember that you're not making mashed potatoes, though! Add the cooked vegetables, and the herbs, and mash together, leaving it a rather rough mixture. Taste the mixture for salt and pepper. Line both pizza pans (or baking sheets) with baking parchment (no need to cut-to-fit; over-hang is good). Spray the top of the "cake" with a little oil from a pump-spray bottle and place in the pre-heated oven. 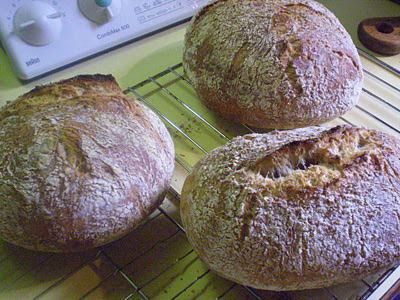 Bake about 15 minutes, or until the bottom is nicely browned. Remove carefully from the oven. Place the second piece of baking parchment over the top of the Bubble and Squeak and the second pizza pan (or baking sheet) upside-down over that. With one hand (in an oven mitt!) firmly under the bottom pan and one firmly in the middle of the top pan (and working over a counter or table), quickly flip it over, so that the browned side is on the bottom. Remove the used pan and parchment, which are now on top. Place the Bubble and Squeak back in the oven and bake for about 10 minutes more, or until the second side is nicely browned. This one was photographed made in a cast iron skillet-- I changed the method to using pizza pans or baking sheets to make it easier to handle. Cut the Bubble and Squeak into wedges and enjoy hot with HP Sauce ("brown sauce" in the UK), ketchup ("red sauce" in the UK), or vegan gravy (British cookbook author Nigel Slater recommends adding "a slug of Madeira" to the gravy). Nutrition (per serving): 269.9 calories; 22% calories from fat; 7.0g total fat; 0.0mg cholesterol; 357.8mg sodium; 1429.7mg potassium; 48.9g carbohydrates; 5.1g fiber; 3.3g sugar; 43.8g net carbs; 6.8g protein; 5.2 points. Nutrition (per serving): 210.0 calories; 0% calories from fat; 0.2g total fat; 0.0mg cholesterol; 357.7mg sodium; 1429.7mg potassium; 48.9g carbohydrates; 5.1g fiber; 3.3g sugar; 43.8g net carbs; 6.8g protein; 3.4 points. Nutrition (per serving): 179.9 calories; 22% calories from fat; 4.6g total fat; 0.0mg cholesterol; 238.5mg sodium; 953.2mg potassium; 32.6g carbohydrates; 3.4g fiber; 2.2g sugar; 29.2g net carbs; 4.5g protein; 3.3 points. 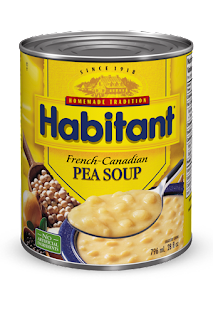 Nutrition (per serving): 140.0 calories; 0% calories from fat; 0.1g total fat; 0.0mg cholesterol; 238.5mg sodium; 953.1mg potassium; 32.6g carbohydrates; 3.4g fiber; 2.2g sugar; 29.2g net carbs; 4.5g protein; 2.1 points.